LookSmart Ferrari 575 SuperAmerica - 1/43rd Scale Model. 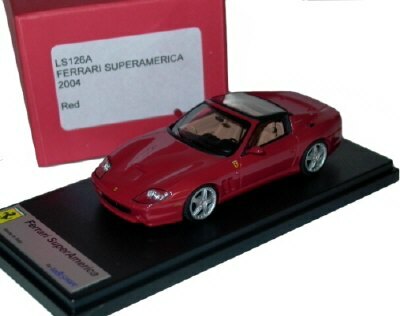 This is a handbuilt 1/43rd scale diecast model of the 575 SuperAmerica with closed roof. The model is produced by LookSmart and shows tremendous detail that can compete with the very best model in scale 1:43 in this price range. Scale 1:43, measures some 4 inches or 10 cm in length and comes in a display box.